An infection, whether in a wound or within the body, is an invasion by harmful microorganisms. Basically you have two types of infection: localised and systemic. When you cut your finger and it becomes infected this is a localised infection. If the microorganisms from this cut penetrate deeper and enter into the blood stream, then this could turn into systemic infection and may lead to vital organs being affected. At all costs you want to prevent any localised infection from spreading into the body where the damage could be serious. The most common way to get a local infection is through open wounds. There are various kinds of wound, so have a look at the table below to see the most familiar categories. a cut type wound from example a knife, glass or any other sharp object. 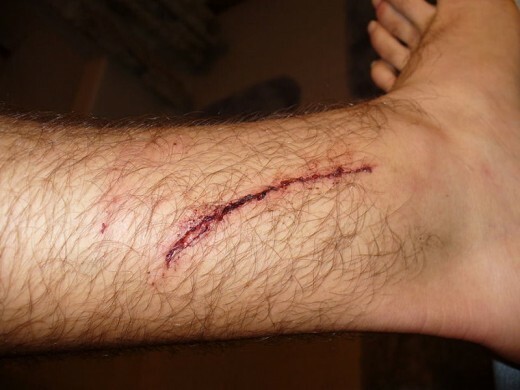 These types of wound can be narrow or deep; straight, ragged or irregular depending on how the injury happened. 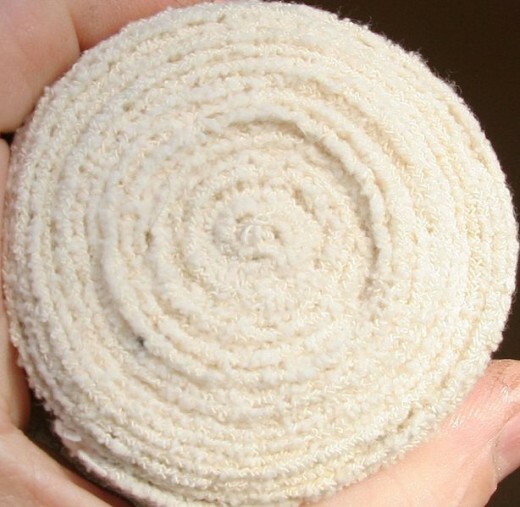 a scraping kind of wound often received after a fall or shearing force. These wounds can be very painful as often not only the top layer of skin is removed but underlying tissue as well. 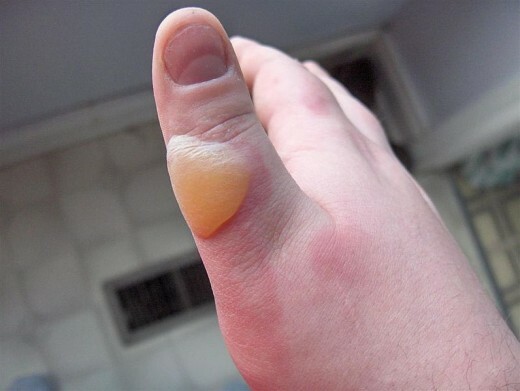 the most common form of burn is due to scalding from steam, hot water and burns from hot objects. No matter how insignificant you think a cut, abrasion, puncture or burn is, it's always best to give the wound a quick clean. This attention can make the difference between a wound healing quickly or an infection developing. One of the first things to do before cleaning any wound is to wash your hands. The UK National Resource for Infection Control (NRIC) has found that the incident of home and community infection has significantly reduced due to the increased awareness of washing hands and using alcohol based rubs along with hand hygiene. Wash your hands with soap and/or anti-bacterial cleanser. Next, wash the cut with cool or warm water - running water is always best. Depending on how dirty the wound is, you may need to continue cleaning for a few minutes. NHS Patient Guides, recommends cleaning with running water for 10 minutes. If needed, use a little pressure to stop bleeding. - a clean piece of cotton cloth or swab is best since they don't have fibres that stick to the wound. If the wound is fairly deep or wide, then apply anti-bacterial ointment/lotion to the wound and cover with a plaster or wound dressing. If the wound is not too wide and you are happy it has been cleaned properly you can promote healing by bringing the edges of the wound together and keep them in place by using surgical/Steri strips or equivalent. These kinds of dressings have different names depending on what country you live in. A bandage may also be applied if needed. Use a continuous stream of water and pour this into the wound - a shower head or similar is ideal. Continue pouring water in for about 5 - 10 minutes. With puncture wounds, the longer the better. Some experts also state that washing with mild soap also helps, but the choice is yours. I tend to use water only and then an anti-septic ointment or lotion afterwards rather than soap. Look for any foreign bodies within the wound but under no circumstances start to dig them out with knives, tweezers or any other instruments. If you have a wood splinter that has not caused a significant wound, then take a clean pair of tweezers and gently remove it. Then clean the area as suggested before. 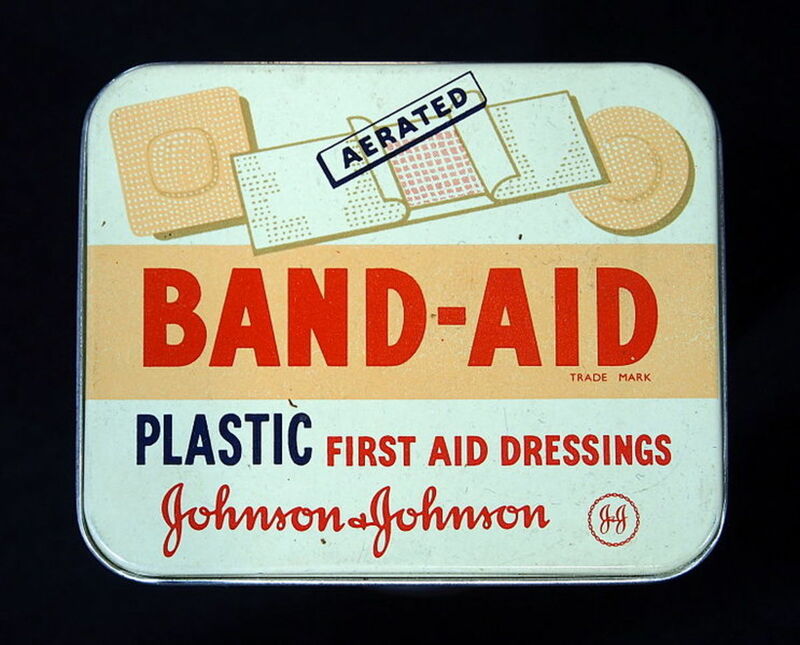 If there is an object imbedded in the wound, gently cover it and seek medical advice. Ideally with any puncture wound, it's best to get advice from a doctor or nurse as soon as you can. You can clean the area with mild soap and water, but the best way to clean abrasions is to irrigate them. Fill a syringe with either tap water or you can use solutions such as Sodium Chloride 0.9% or similar. Use a little pressure when using the syringe so that debris is washed out thoroughly from the wound. You can also use a clean dressing swab to ‘scrub’ the area. This doesn’t involve any harsh scrubbing, but gently dabbing the area to remove dirt or grit. You have to be careful however as you could cause more damage by ‘scrubbing’ and sometimes the wound will be too painful to do this, especially with a child. Cover the area with a dressing and leave this in place for a few days. Dressings that are semi-permeable or act like a ‘second skin’ often work very well with abrasion type wounds. Note: only carry out this procedure on minor burns where the skin is not broken. Ensure your hands are clean. Run cool water over the wound or submerse it in cool water if able to for at least 5-10 minutes. A clean, cold-soaked towel can also be used to reduce pain. Don't use iced water or food packs from the freezer as this will make the burn worse. 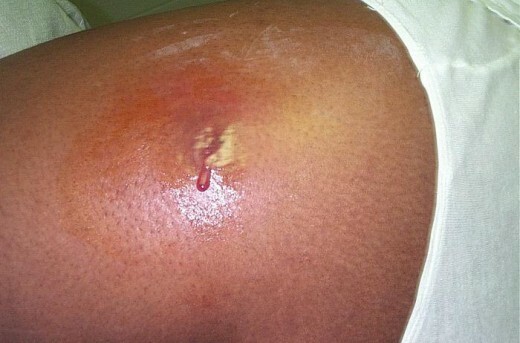 After soaking the wound in cool water, cover the area with a sterile dressing and bandage and leave it to heal. Prevent the wound area from receiving pressure or friction. Although there are ointments and creams for burns, it's best not to use anything on a burn unless it's a very small area. If unsure, leave alone and let the burn heal itself. Blisters should also be left to either burst naturally or dry out. Blisters are the body's way of protecting underlying tissues that have been injured and prevent microorganisms getting in. Always remember that if you have any doubts about a wound, no matter how small they may be, seek the advice of a professional. It's also better to check with a doctor or nurse to see if they advise getting an anti-tetanus shot as a prevention against this disease. Do you think that some bacteria causing infections are getting more resistant to treatments? Do you always clean a wound you sustain? There are a number of classic signs of infection that usually appear. 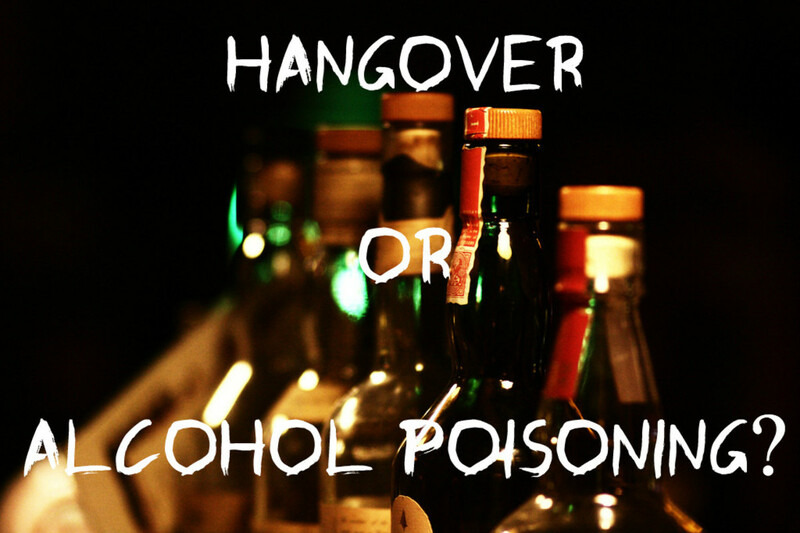 However, every person is different and indications of infection may be slightly different from person to person. 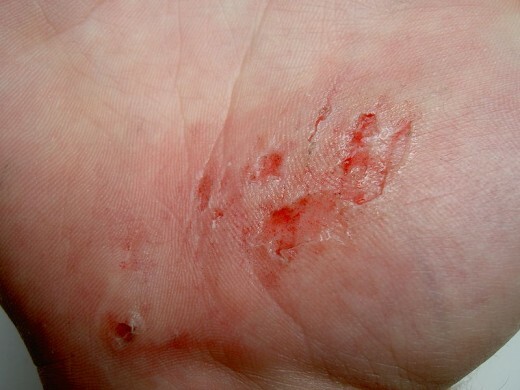 the red and swollen stage may last for some time before pus and/or blood is seen coming out of the wound or may be lying just under the surface of the skin. Pus can be various colours ranging from pale to green. If you only see a straw/amber coloured like fluid coming out of the wound this is nothing to worry about. This watery substance is serous fluid and is the body's way of cleaning out a wound. Often the wound will have an odour. This can range from distinctive to foul. People often develop a high temperature and feel achy and sore. People can also feel faint and dizzy when they have a wound infection. If you have any signs of infection seek medical assistance as soon as possible. It goes without saying that most wounds heal themselves. Our immune systems are made to cope with invading microorganisms on a regular basis and do an excellent good job. What basic wound care does, is to help the body by trying to prevent as many organisms as possible getting into the body. 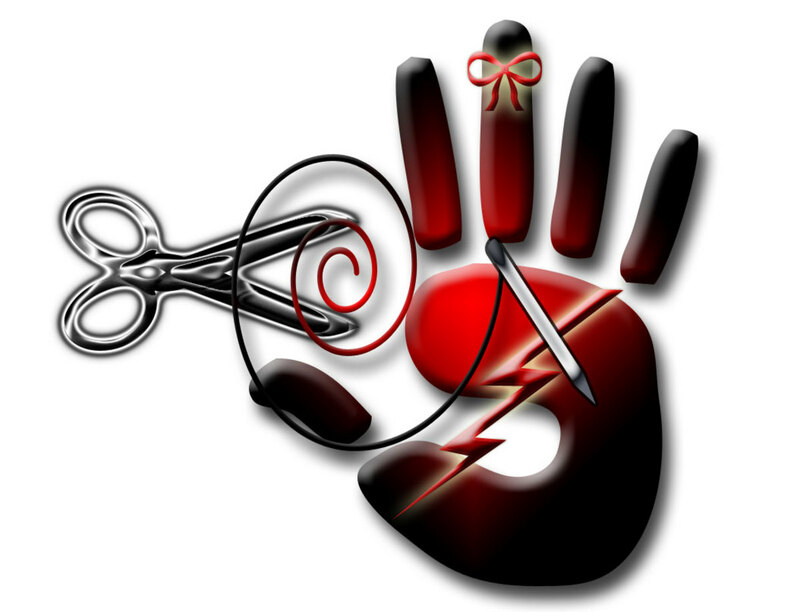 Wound cleaning and care is basically common sense. If at any time you have an injury that shows something you have not experienced before or anything you are not sure of then get medical advice. Prevention, alertness and common sense are the main ways to stop nasty bugs causing infection. LOL! hi toknowinfo, my sister wouldn't read the hub either because of the photos, so maybe I should change them! But glad that you enjoyed the hub. I usually use peroxide to clean a wound. Keeping a wound clean is very important. This was a very good hub, although the pictures grossed me out a bit, except for the one with the bandages. But that is why I didn't become a doctor. Thanks for sharing this info. Hello again teaches12345, many thanks again for leaving a comment on one of my hubs - appreciated. I always think that falling onto your knees is one of the most painful wounds you can get. I think maybe because the knee joint swells up so easily. I remember getting a bad infection in my knee when I was about 8 years of age after falling on gravel. It was very painful indeed and the scar is still there even after all these years. I really appreciate your hub. I fell the other day and scraped my knee -- what a great piece of advice in preventing infection. Voted up. Hi VirginiaLynne, great to hear from you. Now that is interesting about using a red mark for the infection area - I haven't heard of that, but what a great idea. The only time I used red marking was with patients who had developed Gas Gangrene in a wound in the foot. We would mark a line in red, known as the demarcation line, and watch to see if the gangrene moved past this line. Hi Gypsy!! As always lovely to hear from you! That's really interesting about the hydrogen peroxide, it seemed to have gone out of favour for a while, but is making a come back. My Mum was a nurse and any wounds we had that were potential infection hotspots she would use the HP and it usually worked. Like your Mum I had a nasty wound, but right on my knee from a fall. I was only about 8 years of age and the scar is still visible. It was Mum and her HP and dressings that did the trick, but boy I can still remember how sore it was! Frank as always thank you for your kind comments and glad that the hub was useful! Hi Michele, many thanks for stopping by and glad that you enjoyed the hub + thank you for the vote up, always appreciated. Hi peachpurple, many thanks for your comment and for taking the time to read the hub. I think especially in the summer when kids and teens are out and about, the injury rate increases quite a bit. When you're a Mum, I guess much of the summer months is spent dealing with injuries of all sorts that involve kids. Many thanks for stopping by and taking the time to leave a comment - much appreciated. I agree, with the dreaded MRSA being on the rise we need to be as vigilant as ever. Hi Hollie Thomas, many thanks for stopping by and glad taht you enjoyed the hub and found it useful. You're right about the wounds not being minor - although yes, I have seen a lot worse - the main aim was to show what infection looks like. Unfortunately I couldn't get any decent pics with actual minor wounds showing clearly enough the signs of infection. Hi Graham, - always lovely to hear from you and so glad that you found the hub informative. I like writing hubs on these things as it keeps me up to date on anything that has changed. Mind you, things change so much that everyone is playing catch up today!! Terrific information. Clear and concise. I'd add that if you do get a serious infection, it is important to draw a line around it in pen (around the red part). If the red part expands rapidly beyond your red line, say in 6 hours or so, you should see a doctor for possible antibiotic treatment. Thanks for this very informative hub. Years ago my mom got a very bad wound on her leg. Just below the knee. It started to get pus. Every day she poured on hydrogen peroxide. Got all the pus out and it healed. Wounds must be taken care of. Thanks for sharing. Passing this on. this is a very important hub Seeker I voted useful and sharing!!!! Thank you for the information you shared in this hub. It is wonderful to know that much about how to deal with infections. With MRSA on the rise, this is an important article with good advice. Voted Up and Useful. This is really useful information regarding how to treat minor wounds. My son suffers from hives during the summer and the constant itching has left him with a couple of nasty sores this year, so this hub is particularly relevant to me at the moment. I have to say though, that some of the pictures of those wounds are awful, they really don't look that minor. I imagine though that given your profession you have seen a lot worse that these. Voted up. Hi seeker7. Thank you for a first class hub. It is most informative and so well presented. voted up.